Chrichton's World: Review Angie Tribeca Season 1 (2016): A good parody on cop shows a la Police Squad! Review Angie Tribeca Season 1 (2016): A good parody on cop shows a la Police Squad! Thank god for Angie Tribeca. It has renewed faith that American film makers still can make good comedy. Because honestly I was getting worried. Currently there are only a handful of shows that know how to deliver laughs. There are too many shows now that instead of actually providing good comedy go for gimmicks instead. And often they forget all about the gimmick and focus on making very bad jokes usually very offensive ones. Yes, I am referring to 2 Broke Girls for example. How is it possible that show is still on? And while really original and funny shows like Breaking In (with Christian Slater) don't even get a full season without problems. It's so puzzling and incredibly infuriating. Luckily there still are good comedians who are trying to bring their best. People like Andy Samberg in Brooklyn Nine-Nine and in this case Steve Carrel and wife Nancy Carrel. 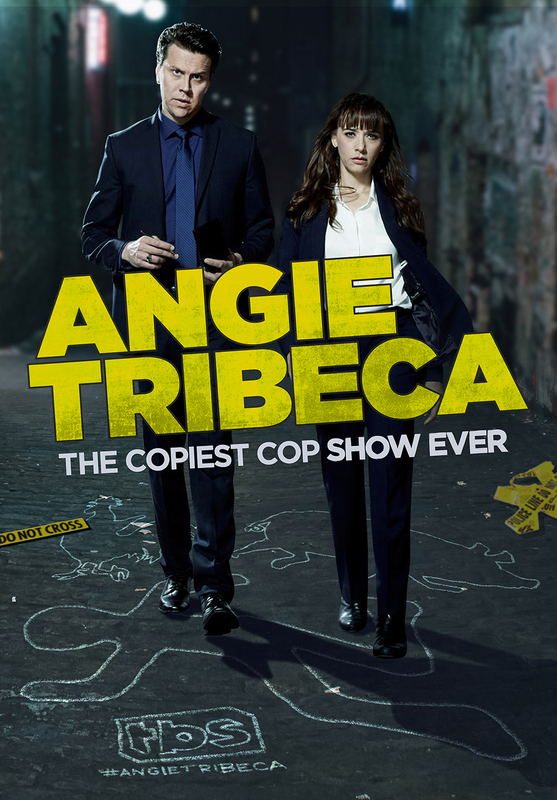 Enter Angie Tribeca: "Finally a show about cops". Brilliant tag line if you ask me. There are like a trillion cop shows on the air and it makes you wonder how come they keep making them. Most of them are cliché after cliché but the ones that try to do something fresh get cancelled. Forever (Don't get me started on this one. This show had everything in it that made it stood out. It was Highlander done right. ), The Bridge (with Aaron Douglas), The Chicago Code, Awake (absolutely brilliant show that was messing with your mind in the most delightful way ever) and Raines (Jeff Goldblum talking to his deceased victims). These are just the first few that come to mind. They were all exceptionally good and clever. Anyway Angie Tribeca ties into the sentiment and plays around with serious cop shows in the same vein as Police Squad did. The show that spun of The Naked Gun franchise. If you are familiar (how can you not be) with that then you immediately know what you are in for. Straight faced actors saying and doing the goofiest and absurd things. Some jokes work and some don't. But the speed and frequency of these jokes make up for the really poor ones. Because if it's funny, it's hilarious. Angie Tribeca doesn't shy away from grossness (like vomiting) which I can't stand at all. I never seen the need to show it. It's enough to imply is it not? Well, I think so. Only in Angie Tribeca it does make sense since it parodies the rookie cop who can't handle a dead body. Angie Tribeca targets a lot of elements and popular cop shows. But CSI: Miami absolutely gets the worse treatment. Just watch to see what I mean. I personally loved Hoffman (the German Shepherd who seems to be an all rounder. He types, he plays musical instruments, drives better than anyone and above all is a damn good cop.